What is The Children’s Network? The Children’s Network is a movement led by the First Focus Campaign for Children, individuals, non-profit organizations, and businesses committed to the health, education, and well-being of children in the United States. We simply share the vision of making America a better place to be a child and raise a family. The Children’s Network shares information and tools to make children the priority in federal policy and budget decisions. Read The Children’s Network Agenda here. What are the benefits to being a member of The Children’s Network? Members of The Children’s Network are listed as children’s advocates and members on Network materials as supporters of children and the bipartisan The Children’s Network Agenda. There are no additional commitments. Members receive updates on children’s policy, action alerts and advocacy tools, shareable content (newsletters, infographics, etc.) to share with their own lists, and the opportunity to sign on to petitions and letters to Congress on children’s policy priorities. Member’s names’ will never appear in support of a specific policy unless they knowingly endorse the proposal. Membership is free and Members have no obligations after joining The Children’s Network. Why do we need The Children’s Network? Children’s can’t appear on cable talk shows, start their own PACs, or vote. But we can. Children and their families deserve the strongest possible presence on Capitol Hill. The Children’s Network is a united voice for children’s advocates working to make children the priority in federal policy and budget decisions. Who is a member of The Children’s Network? The Children’s Network members include individuals, non-profit organizations, and businesses. Who should become a member of The Children’s Network? 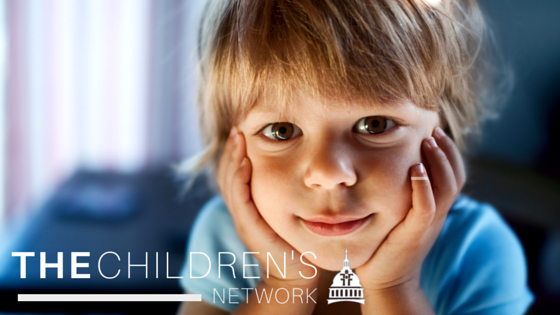 Any supporters of children, children’s advocates, non-profit organization, or businesses dedicated to children and families and making them the priority in federal policy and budget decisions should join the The Children’s Network. Where is The Children’s Network? The Children’s Network is a national community. Anyone, or any organization or business anywhere in the United States and its territories can join. Who started The Children’s Network? The Children’s Network was started by First Focus Campaign for Children, the leading bipartisan federal children’s advocacy organization. How do I join The Children’s Network? Am I an individual, organizational, or business signer? You can join The Children’s Network today for free. If you are authorized to sign up your entire non-profit organization or business, complete the non-profit organization form here or the business form here. If you can only join on behalf of yourself (e.g. pediatricians that belong to a larger practice, mothers, professors), complete the individual form here.